I thought it was time to share some lesser known, but brilliant violin works from the nineteenth century. It’s been a little while since my last ‘musical’ post and I’m getting withdrawal symptoms. Plus, I’ve been having technical problems, my old PC has gone to the scrap heap in the sky. The inevitable data retrieval is proving arduous, so in the spirit of a true musician, I’m having to improvise! 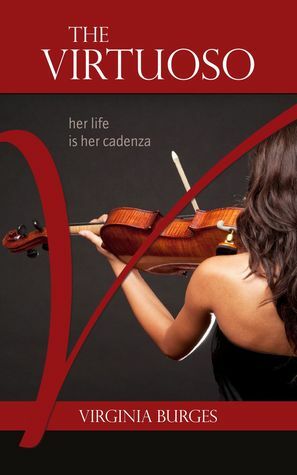 Romantic violin pieces flourished in the nineteenth century, the heyday of romanticism. I’ll present these three violin aces and their music in the order of their birth. 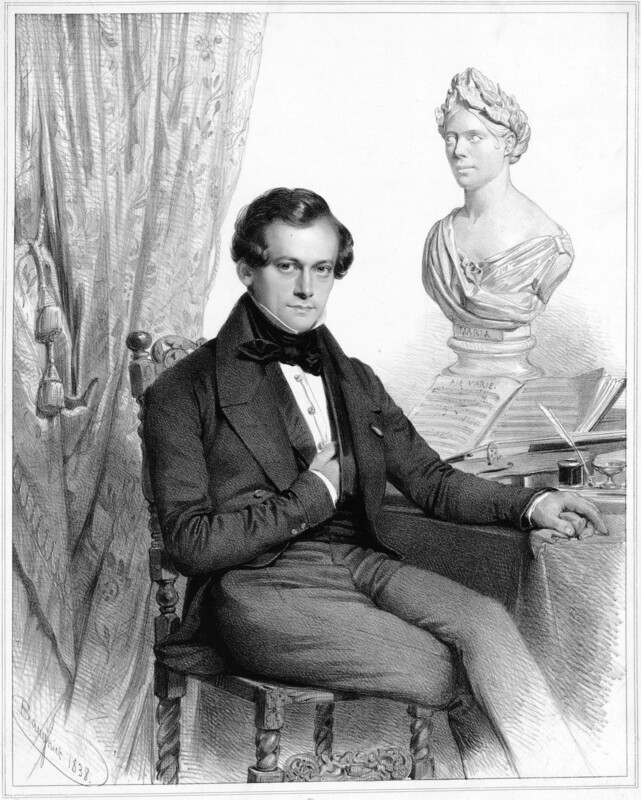 Although he was born in Leuven, Belgium, de Bériot spent the majority of his musical career in Paris. At the Conservatoire de Bériot was tutored by Jean-François Tiby, an acolyte of Viotti. He was also influenced by Baillot and Viotti directly, as well as Paganini (elements of the latter can be heard in the style and virtuosity of his music). He played for royalty in France and the Netherlands as well as touring London and Europe. De Bériot was also proficient on the piano and toured much of China against the emperor’s wishes. His first wife was the celebrated mezzo soprano opera singer, Maria Malibran, who bore him a son in 1833. Charles-Wilfrid de Bériot became a piano professor who counted Maurice Ravel, Ricardo Vines and Enrique Granados among his pupils. Sadly, Maria died at the tender age of 28 (after a riding accident), and de Bériot moved back to Brussels. Portrait of Charles-Auguste de Beriot by Emile Jean-Horace Vernet. De Bériot later became the chief violin instructor at the Brussels Conservatory where he established the Belgian-Franco School. Among his followers were the virtuoso violinists Hubert Leonard, Henri Vieuxtemps and Heinrich Wilhelm Ernst. He was forced to retire from teaching and performing in 1852 due to failing eyesight and became completely blind by 1858. Unfortunately his ill health continued and he had to have his left arm amputated in 1866. De Bériot wrote pedagogical studies for students, such as the Violin Method Opus 102 and His First 30 Concert Studies Opus 123 for soloists wanting to perfect their technique and skills prior to performing major violin concertos. His output includes various romantic violin pieces that were sometimes used for encore performances in addition to ten violin concertos. His music has fallen into relative obscurity, so I think it’s time to dust it off and give it an outing! This energetic and eccentric Norwegian prodigy didn’t follow the usual path to virtuosity, due to his extremely creative bent and a desire to do things his own way. 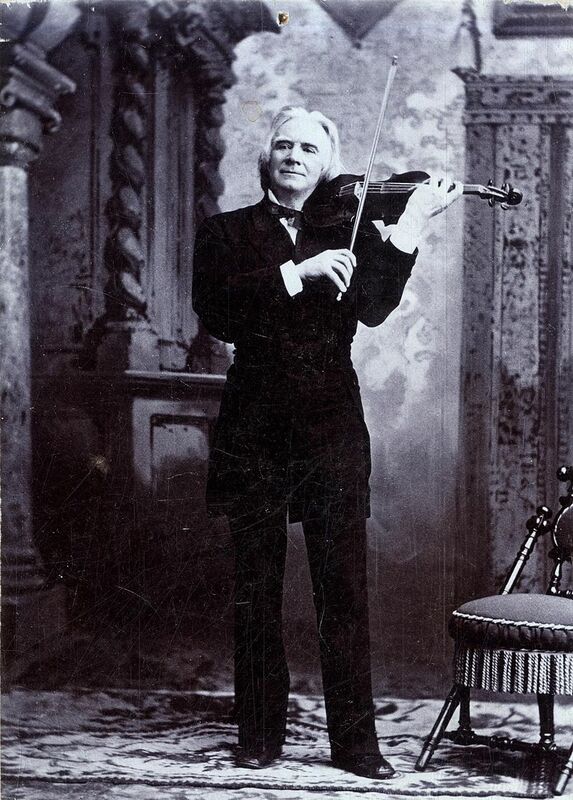 Norwegian violinist Ole Bull has received less attention than the other composer/virtuosi of the nineteenth century. Perhaps because a good portion of his performance activity took place in the United States, where less of a historical perspective on 19th century music-making has developed among performers. Bull was Norway’s first real celebrity, and as a virtuoso he was something of a rock star, playing on the emotions of audiences in a way Sarasate, for example, did not. 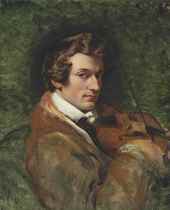 During the season 1836—37 he played 274 concerts in England and Ireland; in 1839 he visited the great German violinist and composer Spohr in Kassel, in the hope of receiving useful advice from him. In 1840 he played Beethoven’s Krentzer So­nata in London, with Liszt at the piano. On July 23, 1849, he announced the formation of a Norwegian Theater in Bergen, which was opened on Jan. 2,1850. While he failed to impress serious musicians and critics in Europe, he achieved his dream of artistic success in America; he made 5 concert tours across the U.S., playing popular selections and his own compositions on American themes with such fetching titles as Niagara, Soli­tude of the Prairies, and To the Memory of Washington, inter­spersing them with his arrangements of Norwegian folk songs. In 1842 Ole Bull bought a very richly decorated da Salò violin, originally made in 1570 for the treasure chamber of Archduke Ferdinand I of Tyrol. He used it on tour along with a magnificent Guarneri del Gesu and a large Nicolo Amati model, for nearly forty years of frenzied, fiery improvisation and recital. 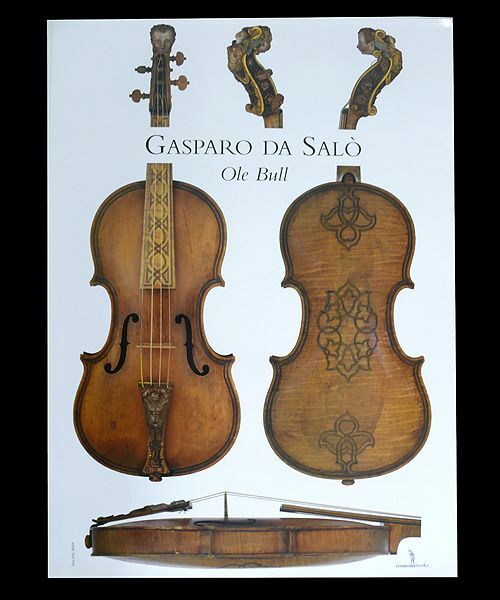 Ole Bull’s Gasparo da Salo violin. It’s thought Ole Bull wrote as many as seventy pieces in his lifetime, but only around ten of those endured and continue to be performed in modern repertoire. It seems that he was friends with Pianist and composer Franz Liszt, and Robert Schumann wrote that Bull was among “the greatest of all,” extolling that he was on par with Niccolò Paganini for the speed and clarity of his playing. Bazzini was born in Brescia, Italy into a long established Brescian family dating back as far as the 1400s. His early introduction to literature, culture and music was provided by his grandfather, Antonio Buccelleni, who had written poems, sonnets and odes, some of which formed the basis of Bazzini’s early compositions. 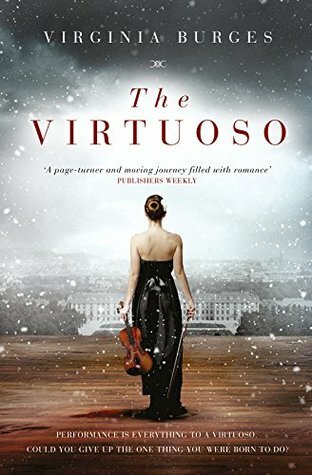 His first violin instruction was under Kapellmeister Faustino Camisiani, and by the time of his death in 1830 young Antonio was a competent eleven year old violinist. Bazzini’s fame as a violin virtuoso overshadowed his composing and teaching, he was regarded as one of the finest concert violinists of the 19th century. At seventeen Bazzini was himself a maestro di cappella for the church of San Filippo in Brescia. His early works were often religious in nature, and while at San Filippo he wrote Masses, Vespers, and six oratorios. 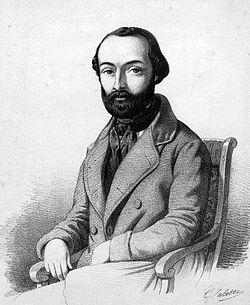 His life materially changed on 20 March 1836, when he played first violin in a quintet by Luigi Savi. 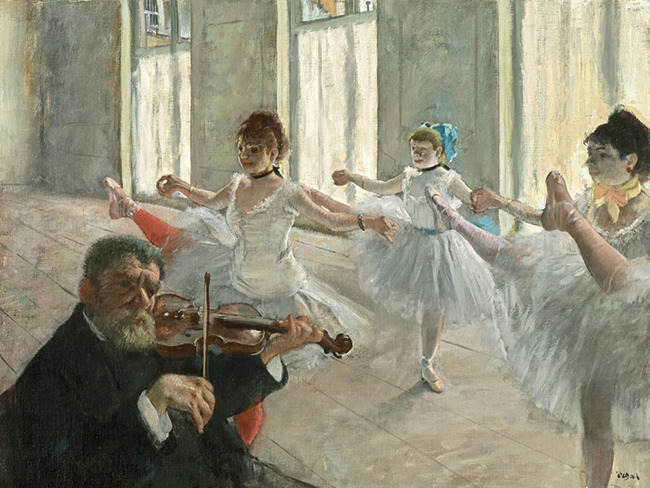 The work was dedicated to Paganini and the dedicatee was in the audience. 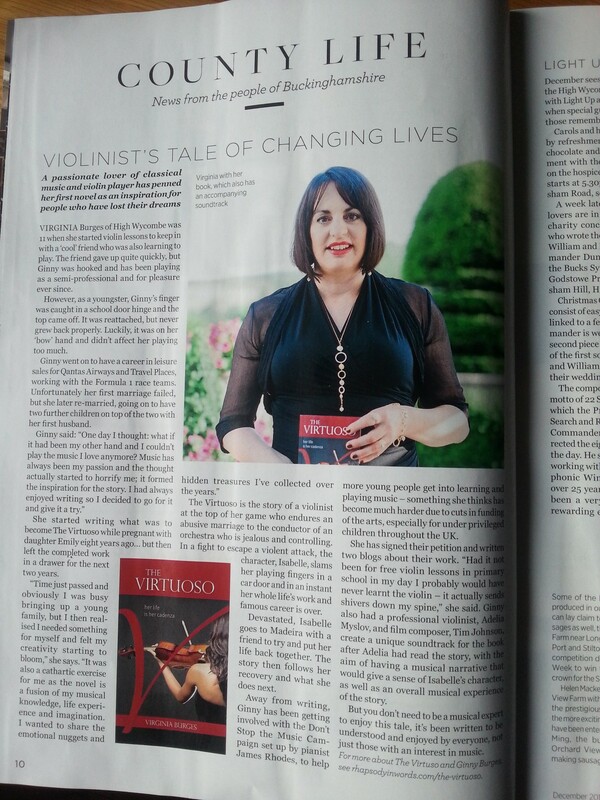 Paganini advised the young man to tour as a virtuoso, and Bazzini took this advice to heart. Beginning in 1837 he toured Milan, Venice, Trieste, Vienna, and Budapest; from 1841–1845 he toured Germany, Denmark, and Poland. For several years he lived in Leipzig, where he studied the German masters. While in Germany, Bazzini performed with Mendelssohn’s Gewandhaus Orchestra, reputedly giving one of the first private performances of Mendelssohn’s E minor Violin Concerto. In 1848 he undertook a tour of Spain and in 1852 he settled in Paris. In 1864, after a final concert tour in the Netherlands, he returned to Brescia and concentrated on composition; he also championed instrumental music in Italy through string quartet performances at the home of Gaetano Franchi and the creation of the Società dei Concerti. Among the soloists Bazzini brought to Italy were Hans von Bülow and Anton Rubinstein, in 1870 and 1874 respectively. Along with Verdi, Bazzini had an important rôle in establishing standard concert pitch (440 Hz), which was first recognised in Italy by the Congresso dei Musicisti Italiani in 1881. In 1873 he was appointed professor of musical theory and composition at the Milan Conservatory and became director of the same institution in 1882. Among his pupils at the Milan Conservatory were Mascagni and Puccini. He returned to Brescia after touring, where he focused on composing. During this time he wrote an opera, Turanda, cantatas, sacred works, concert overtures and symphonic poems (Francesca da Rimini). His chamber music proved to be his most successful pieces as far as composing was concerned. I’ll bid you farewell now, (the hungry hordes are waiting for their tea), echoing Shakespeare’s immortal verse: If music be the food of love…play on!